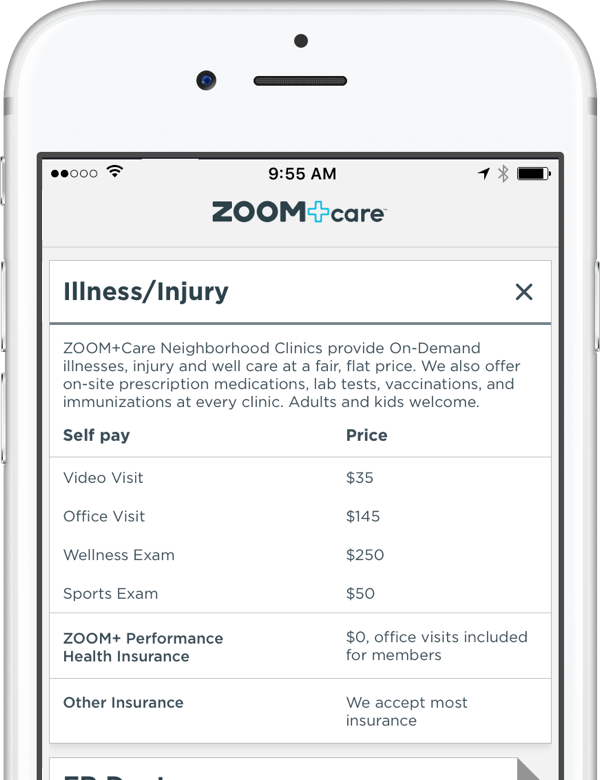 Schedule from 1200 same-day no-wait visits at our ZOOM+Care neighborhood clinics. 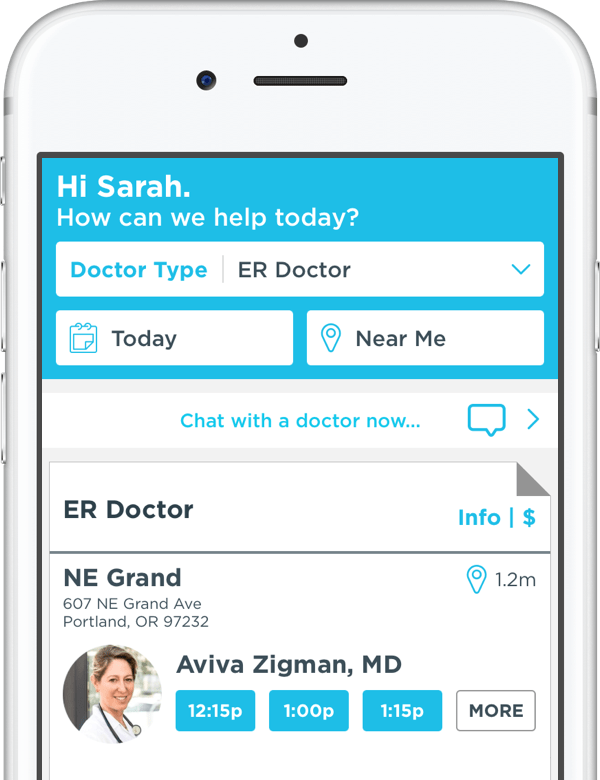 Instant access to no-wait emergency visits with our ER doctors. 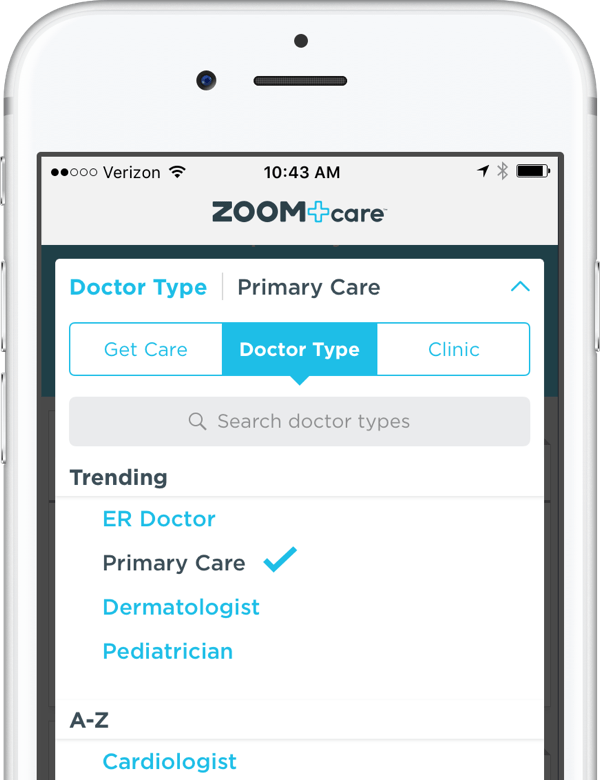 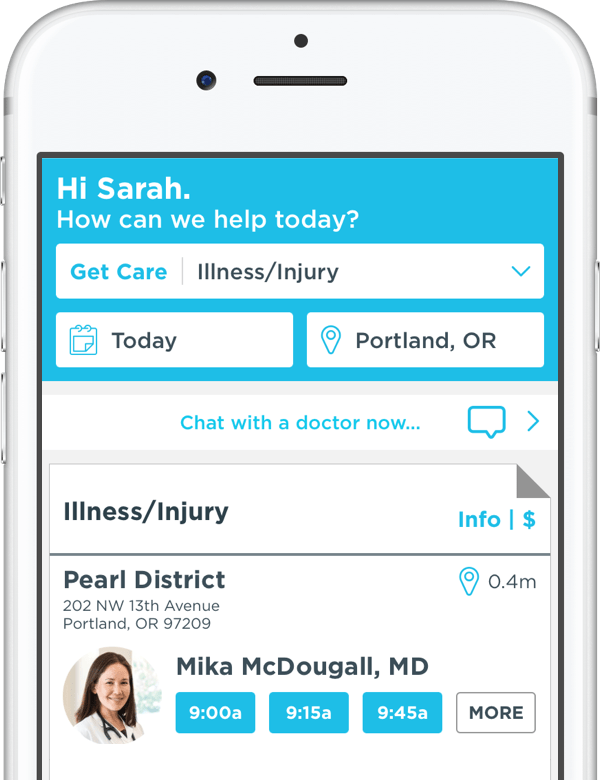 Find a ZOOM+Care Doctor for your urgent, primary and specialist care needs. 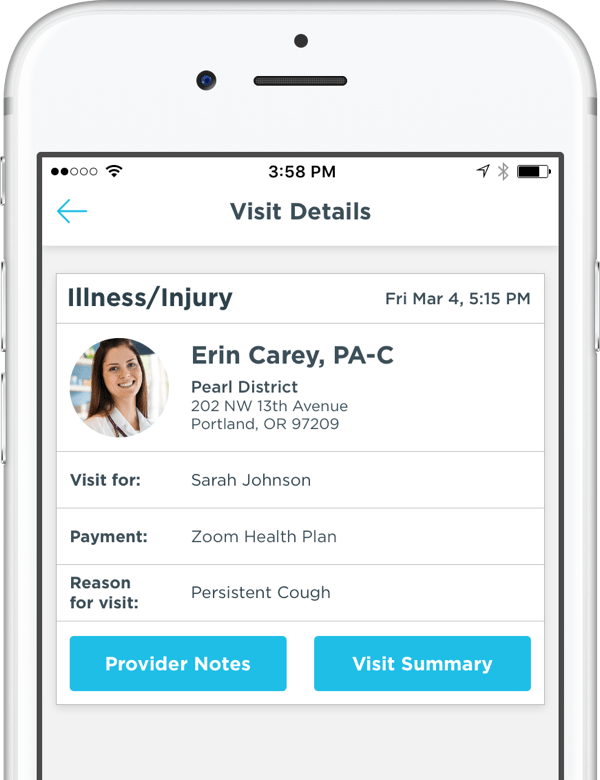 View lab results and visit history, in the palm of your hand. 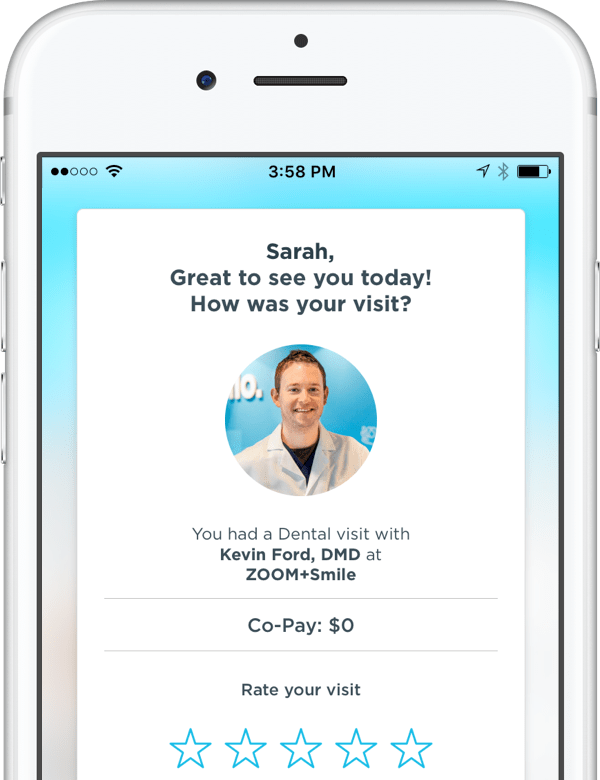 Rate your doctor and let us know about how your visit went.